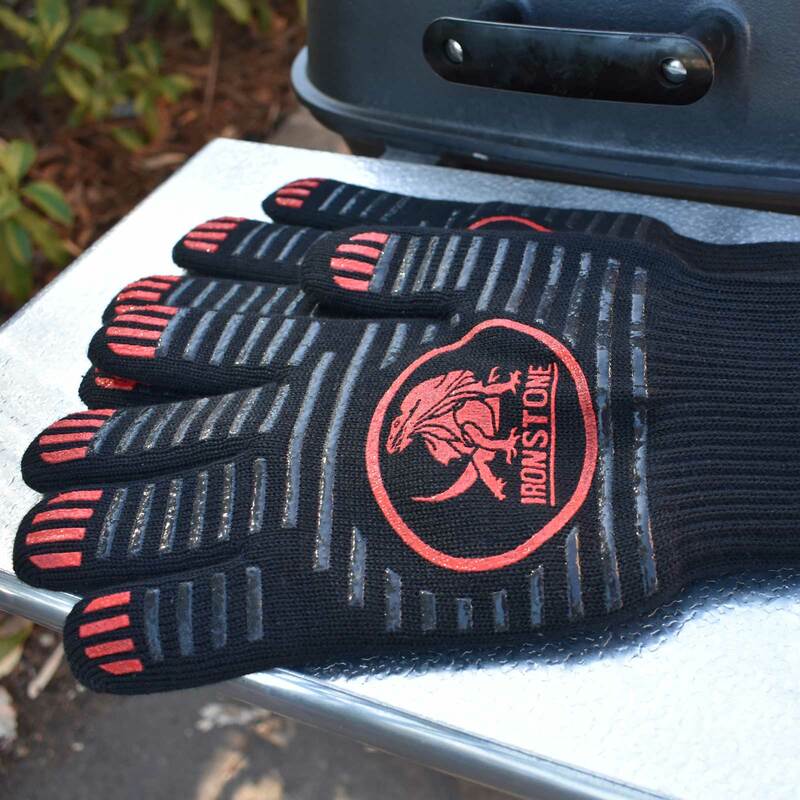 Ironstone – Heat Resistant Gloves ( Red/Black ) – Pair | The Perfect Steak Co. | The Perfect Steak Co. Perfect for oven baking, hot pots, grilling, barbecuing and woodstoves. Machine-washable, and can be easily hung on the line to dry. Handle temperatures of up to 500° Celsius (932°F). 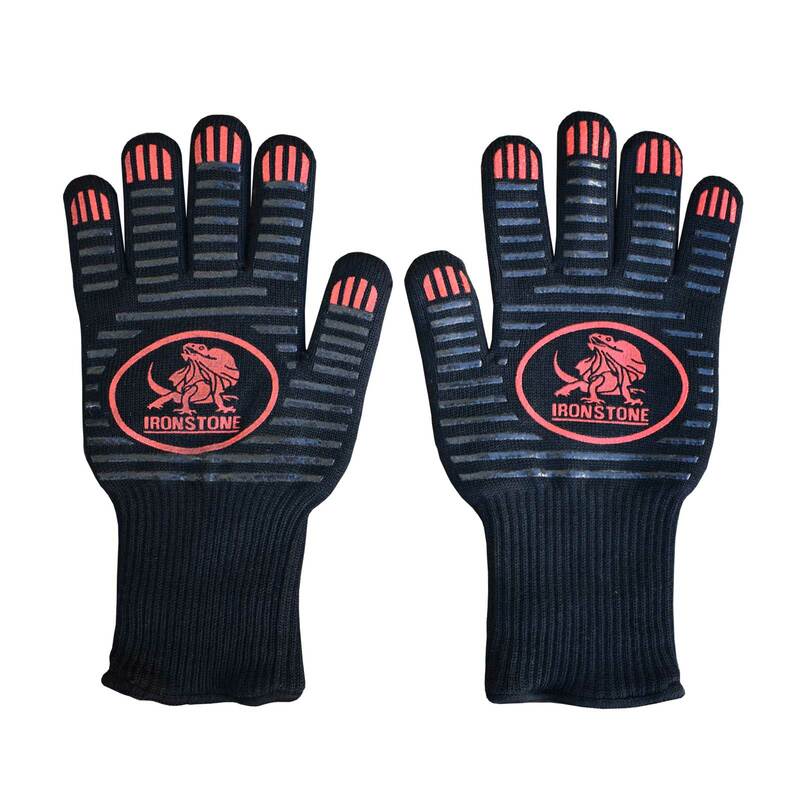 The Ironstone Heat Resistant Gloves are as impressive as they are functional with the ability to handle contact with temperatures of up to 500° Celsius (932°F). This means that it is perfect for use with oven baking, hot pots, grilling, barbecuing and woodstoves. 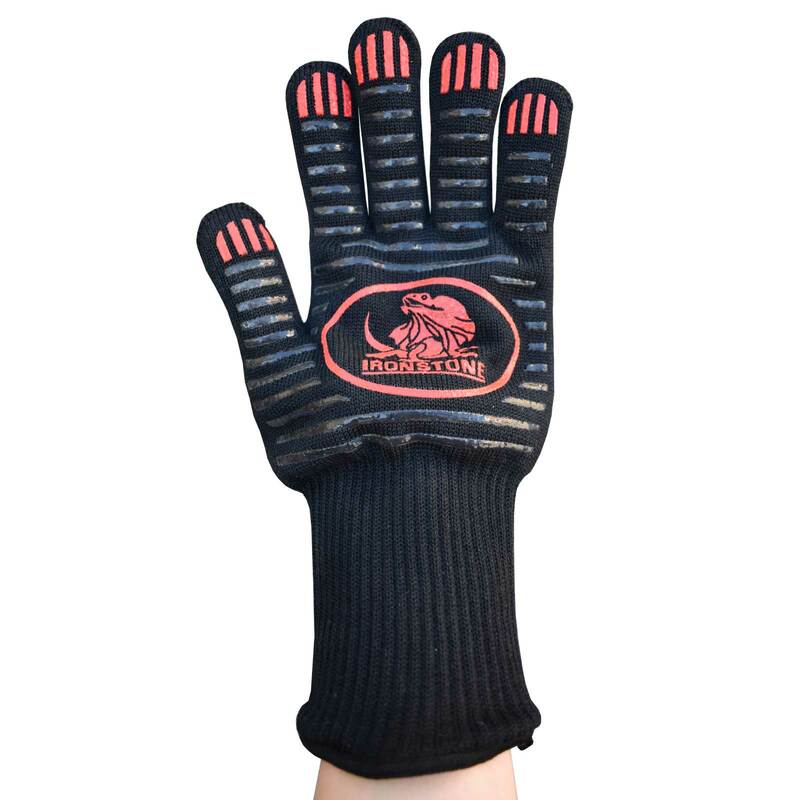 Fashioned with high quality aramid fibres which work to insulate and protect hands from burning temperatures, these gloves have a comfortable cotton and polyester lining which allows for breathability to resist sweating and a gauntlet-length style of design to protect wrists and forearm from scorching heat as well. These gloves are thick to provide excellent thermal protection and durability, but they are lightweight for extended use without fatigue. 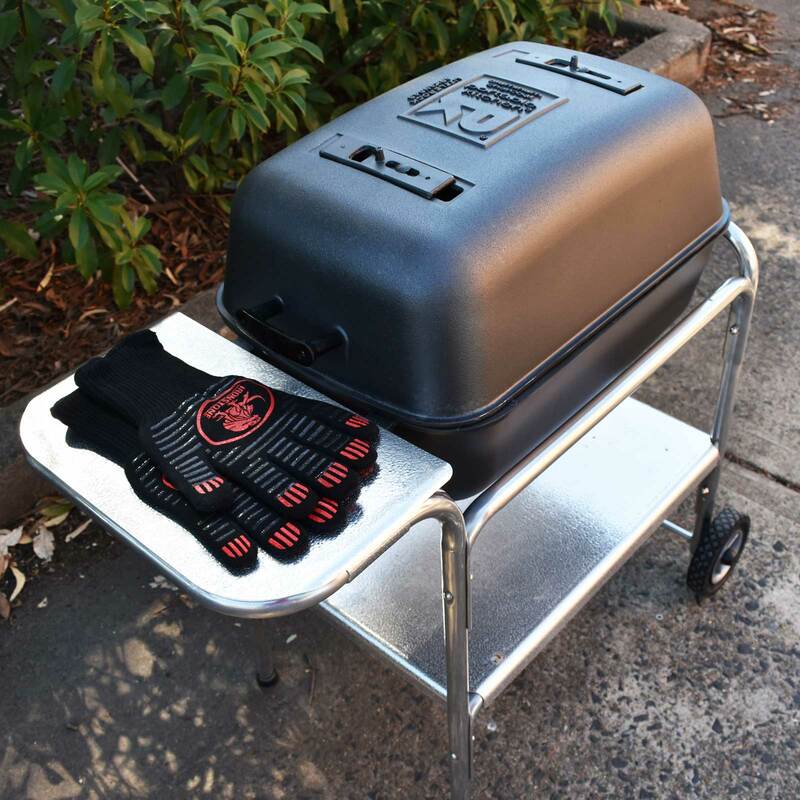 On top of being heat-resistant, these gloves were designed with mobility and flexibility in mind, the form of the glove is a huge step up from the simple oven mitt. 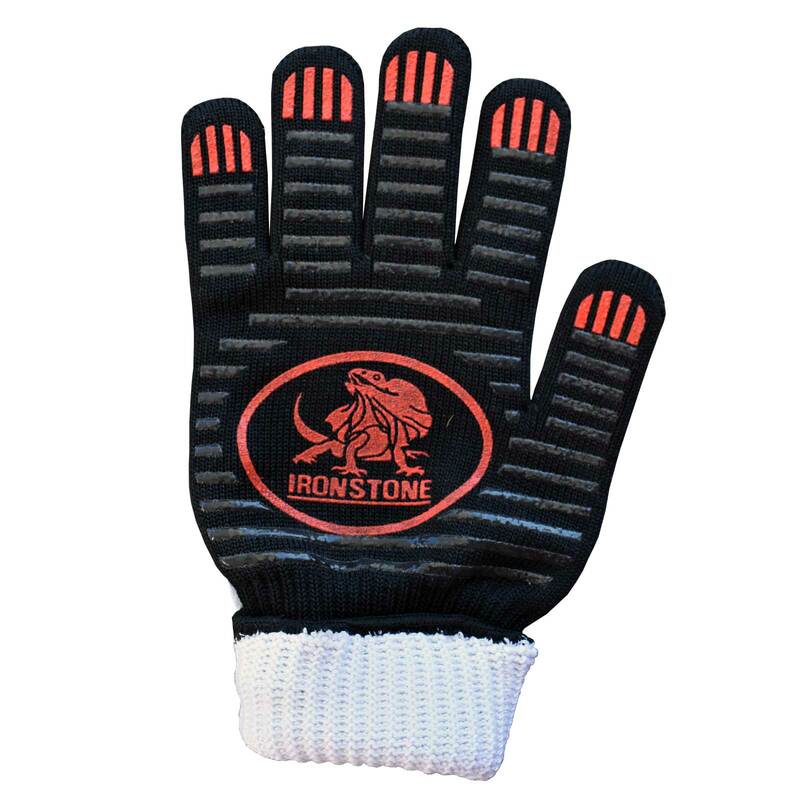 With the Ironstone glove, fingers are free and flexible, and the wearer has complete control without needing to worry about being burnt which is great for working with non-greasy foods that are too delicate for tongs such as baked potatoes or corn. 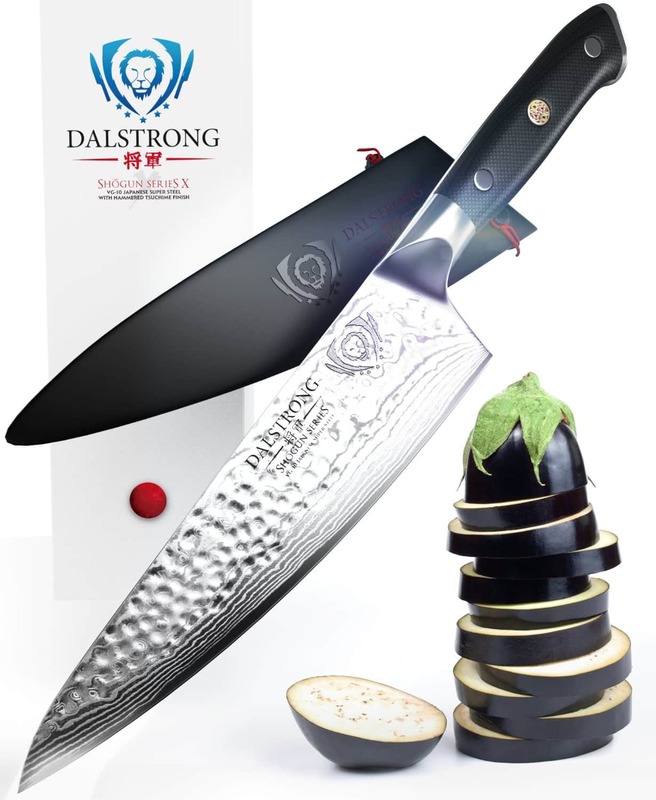 The designs on the hands are made of grippy silicon which provide an extra layer of protection and is food-grade, meaning it’s safe and practical to use in the kitchen. 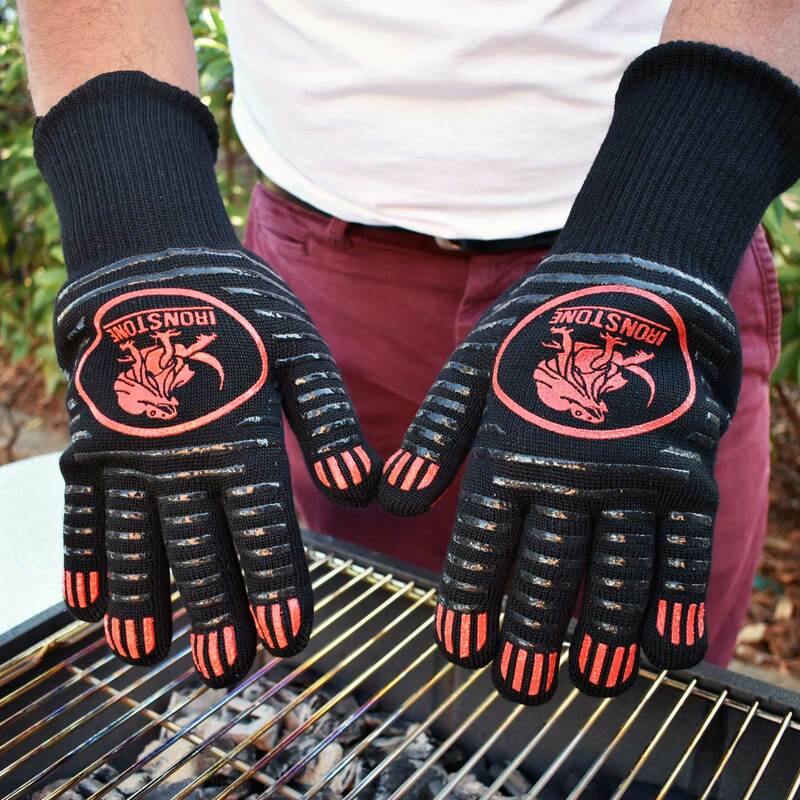 The uses of these gloves don’t stop at cooking- they’re also perfect for fireplaces, camping, welding, can be used as a heat mat to protect counters, and even changing light bulbs! The gloves are also highly capable out of the heat for jobs around the house, like gardening or opening jars thanks to the high-grip silicone. These gloves are machine-washable, and can be easily hung on the line to dry. Please do not use these gloves to handle hot water or within steam and make sure they are dry before use. 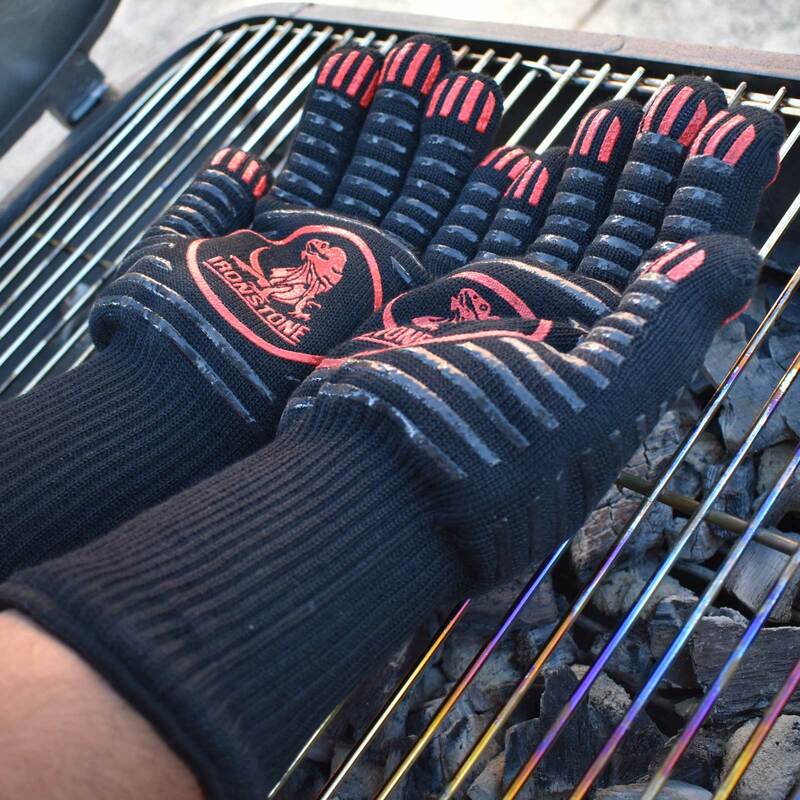 If you are after waterproof heat resistant gloves, we recommend our Silicone BBQ Gloves.